We are pleased to advise you that Dr Ian Wilson will be returning to Port Macquarie for consultative and surgical services for HunterOMS. He will commence seeing patients 1st June 2017 at the Coolenberg Clinic in the mornings and will be providing surgical services in the afternoon at Port Macquarie Private Hospital. This will be a monthly occurrence and our staff at HunterOMS can help you with upcoming dates to see your patients. 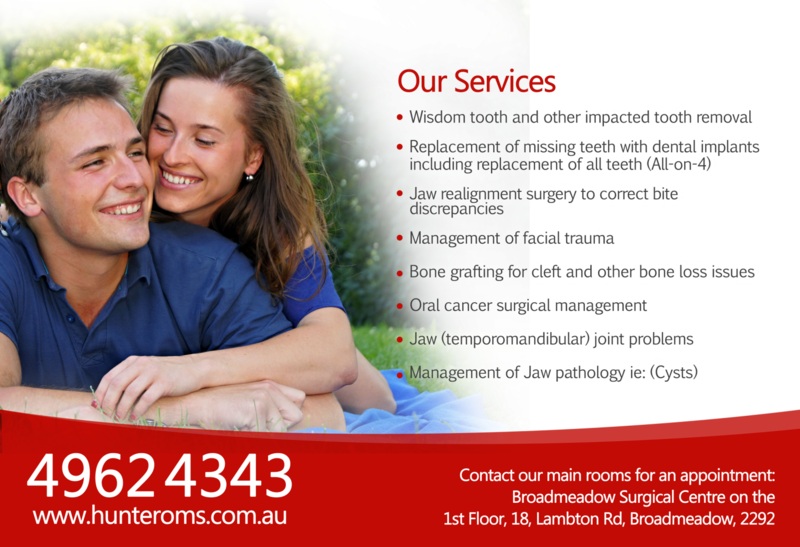 All appointments will still be made by calling our rooms in Broadmeadow on 4962 4343. We ask that you provide your patient with a referral and a current x-ray (OPG) for any teeth removal referrals. Complex procedures and implants will still be consulted in Broadmeadow.